There are two machines in the Henry Ford Museum itself. One by the Wienermobile and the other by the “With Liberty and Justice for All” exhibit. Both machines have four designs and are all 51¢. 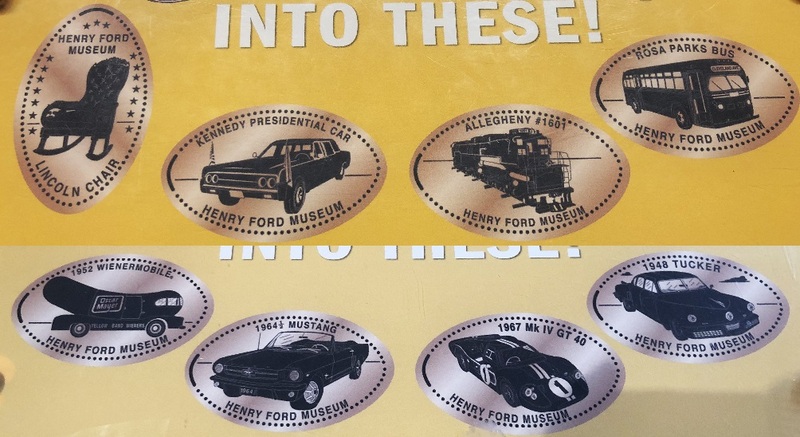 All designs have the text "Henry Ford Museum" as well as text describing the design.